Monday was the first day of our big American adventure, (hitting San Francisco, Chicago and New York), our first stop is 7 days in San Francisco. 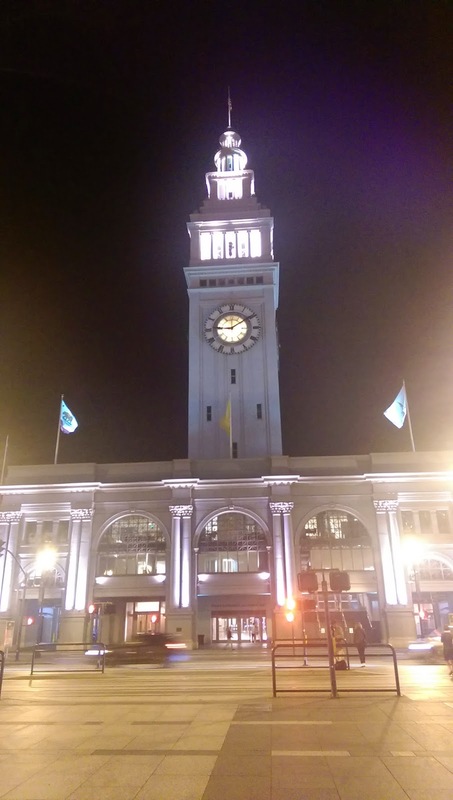 Arriving in late evening, we changed and headed to Fisherman's Wharf for dinner and I instantly fell in love with the relaxed and friendly vibe of San Francisco. I don't know if it's because of the Pacific breeze or just general goodwill, but the San Franciscans seem one of the nicest bunch of folks. Watch this space for more thorough posts, street style posts, hauls and general loving life-ness! 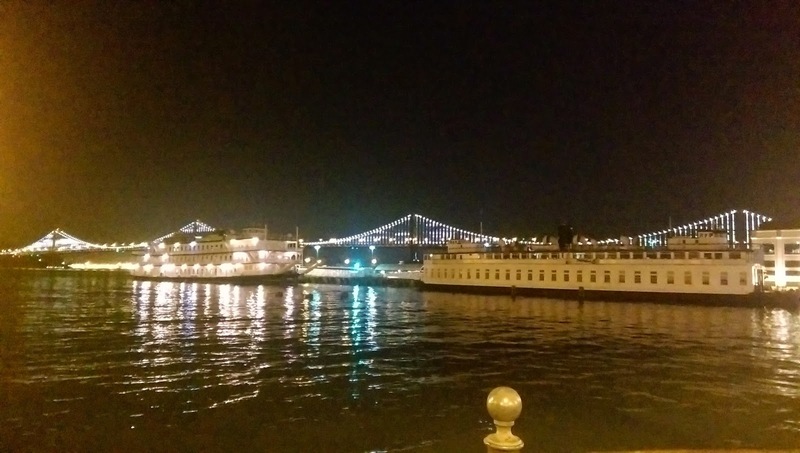 Pictures of San Francisco port building and the Bay bridge by night.